Camera Motion Research, (CMR) makes accessories for the Connex by Amimon, which is a transmission solution that allows drone users to outfit virtually any size and shape aerial drone with long-range, full-HD video transmission capabilities, with zero latency. Amimon makes accessories for both the Connex and Conex mini and actually sells both units too. The Connex mini transmitters and receivers are smaller and lighter than the original Connex. The transmitter does not have a cooling fan, and power consumption of both the transmitter and receiver is lower than the Connex. The transmitter (air unit) with ~ 5 hr. battery weighs only 8.4 oz. The receiver (ground unit) with ~ 4 ½ hr. battery weighs only 11.6 oz. 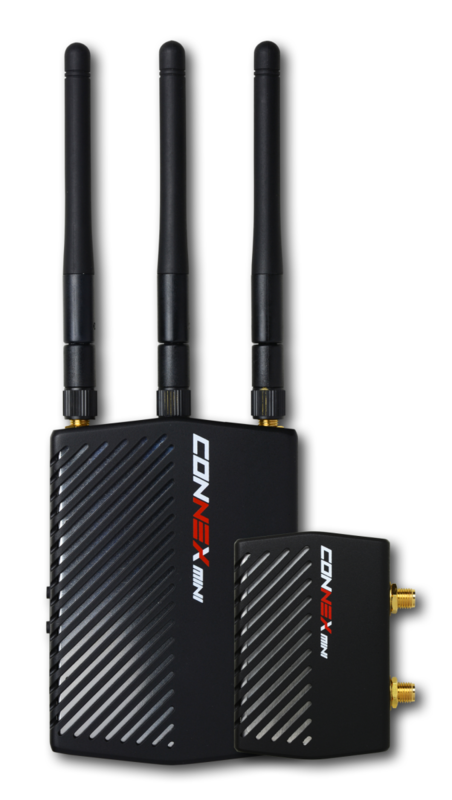 The Connex mini shares most of the wireless performance characteristics of the original Connex, with the exception of LOS range 1600 ft. And like the Connex, the mini does not transmit audio. 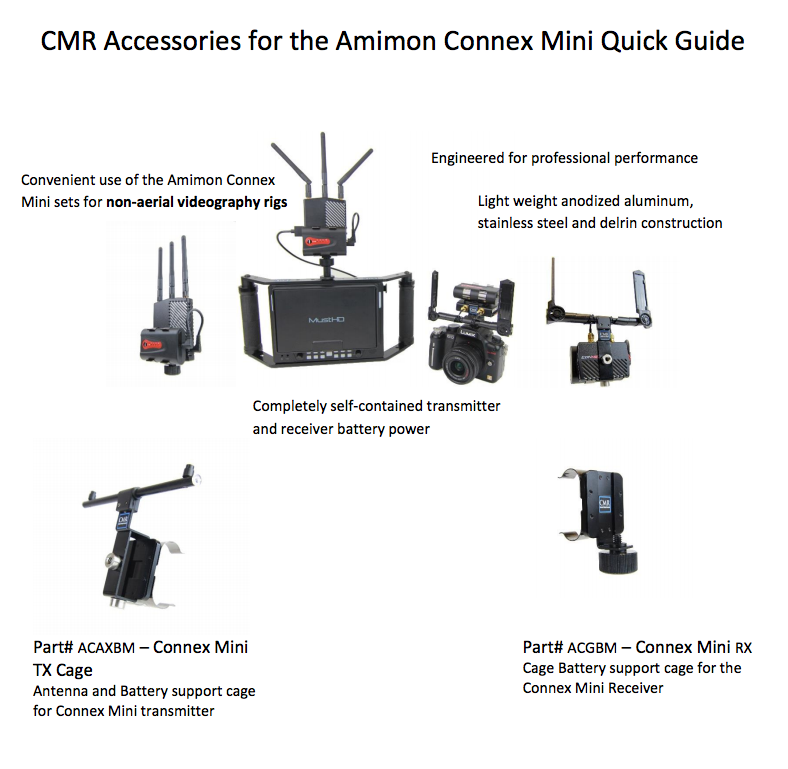 Camera Motion Research sells the Amimon Connex and Connex Mini with complete packages which include their support gear or you can purchase them individualy if you so choose.